It’s not uncommon to hear Australian managers swearing in a meeting. Australians’ distinct manner of speech originated at sea when diverse ship crew members fused together Cockney, Irish, and Northern English dialects. “Swear words and vulgar expressions were abundant,” explains Lewis. 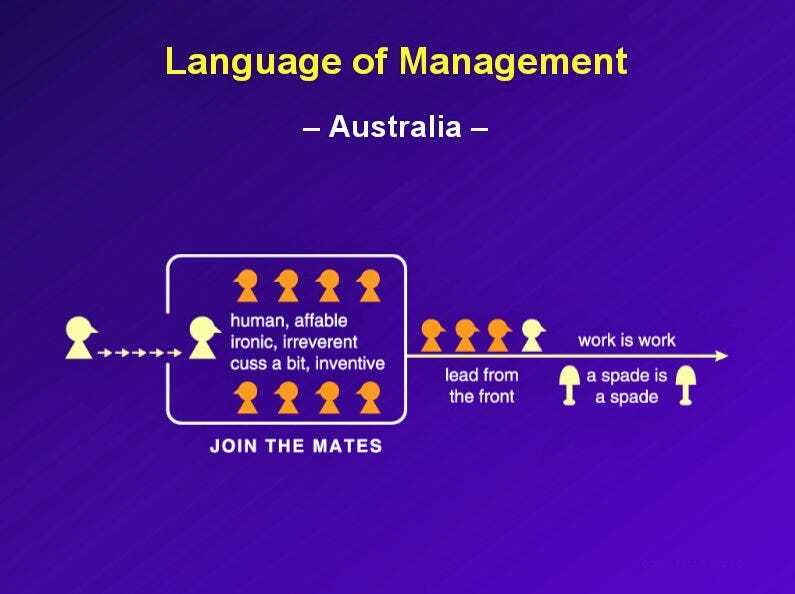 It is an aspect of the speech that managers utilise today in order to influence employees. 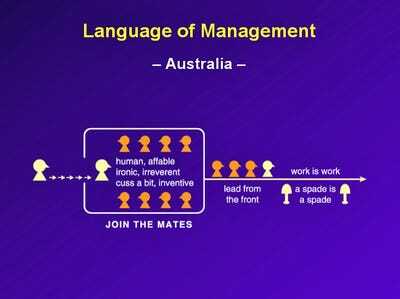 According to Lewis, Australian workers would respond cynically to “American pep talk English” and would not be stimulated enough by the “prim” British or Canadian English.